No matter how resilient decades of neglect may have made Karachiites, using public transport in the mega city still makes them cry for help. In spite of being Pakistan’s largest city and commercial hub, and one of the world’s largest and fastest growing metropolises, infrastructure development in Karachi has been nearly non-existent in the past decade. Roads are in ruins, sewerage system is seeing its worst, and the state of public transportation has constantly plummeted in terms of both quality and quantity. 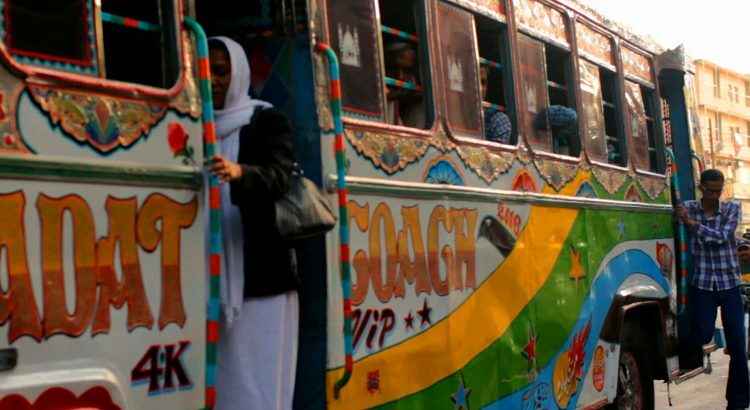 A recent study by The Urban Resource Centre, Karachi, unveiled why Karachi’s public transport is in such a bad shape. Published in coordination with the International Institute for Environment and Development, the working paper titled ‘Responding to the transport crisis in Karachi’ educates us on the various factors responsible for the fail of mass transit facilities in the thriving yet disorderly metropolis. One of the key factors contributing to the deplorable situation is the ethnic composition plays into the politics of Karachi. The non-consensus between political parties has social ramifications resulting in weakening of the governance system and city planning institutions, which has led to delays in the implementation of development projects. Forcing public buses into converting from diesel to compressed natural gas (CNG) through court orders has also led to rapid disappearance of public transport from the roads. Dude to a lack of supply, the sale of CNG is only permitted on four days of the week, and it is only on those days that CNG buses can function, creating additional problems for the commuting public. A large number of private vehicles are added to its road every year, but the number of public transport registered buses has declined from 22,313 in 2011 to 12,399 in 2014, of which 9,527 are operative. This unfortunate development has resulted in frequent traffic congestions and increased air and noise pollution, leading to health problems, high accident rates, and environmental degradation. The lack of decent public transportation has also led to an uncontrollable rise in the number of motorbikes which are a major cause of messy flow of traffic. In addition to disruptive traffic and health hazards, the increase in bikes has also made the riders vulnerable to road fatalities. According to Karachi Metropolitan Corporation (KMC), an additional 8,676 large buses are required to fill the shortfall. To overcome this crisis, the informal private sector has introduced about 50,000 QINGQIs2 (motorcycles with six-seater carriages attached), many of which are not registered and as such function illegally. The private sector has been left entirely on its own, operating in a largely unregulated and unmanaged environment, with very little government oversight or support. Discussed above are some of the reasons why in spite of Karachi’s importance, its transport-related problems are increasing. The impact of the transport crisis on people’s lives is enormous. Travelling in environmentally degraded conditions for long hours results in physical and mental health problems. This affects family and social life and limits peoples’ choice of livelihoods (especially for women), since they wish to work in areas that they can easily access through the existing transport system. The city is in a dire need of public transport overhaul. As it continues to expand spatially, Karachi and its people need some serious governance and continuity of development policies. In order to make the city more productive and livable, it needs to develop immediate transport solutions where everyone, especially women and children, can commute in peace and with safety and experience a better life.